Kitty Glitter online slots is purr-fect! Play now! Kitty Glitter Slots is absolute purr-fection! There are multiple symbols that can act as Wilds, a FREE spins bonus that can be retriggered and more! Good luck! 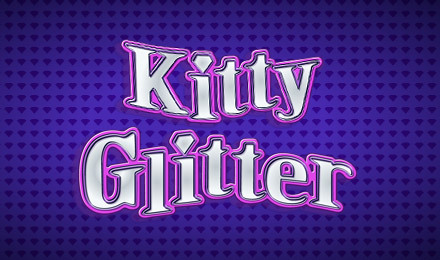 Whether or not you like cats, you’re sure to love Kitty Glitter online slots! Be sure to look out for the Kitty Glitter logo, which acts as your Wild, as well as the sparkling Bowl of Diamonds, which is your Scatter. 3 or more Scatters will activate your FREE spins bonus, which can be retriggered for loads of chances to win! You’ll also collect Diamonds, which will turn different felines into more Wild symbols. Spin to win today!